How do you get sponsored by Billabong while still in highschool and go on to film snowboard films with the Voleurz team? Join me as I interview Pro Snowboarder Braden Dean. Braden Dean is a pro snowboarder based in Whistler, BC. He was picked up by Billabong’s development team while still in highschool and has since gone on to become a part of the yearly ski and snowboard movie release from Voleurz. 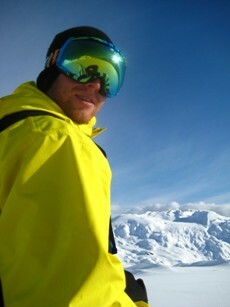 His sponsors include: Bataleon Snowboards, Ripcurl, Ogio, POW, Voleurz, Whistler/Blackcomb, Freerideboardshop.com, Outdoor Technology. Want to know more? Check out Braden’s Blog. We’re working on the text transcript now! How do you go from average snowboarder to part of the Canadian National Development Team and going on to film a video part for YES Snowboard’s latest movie? 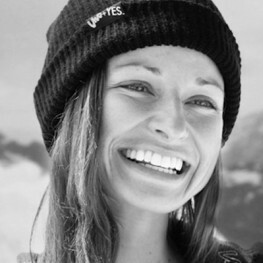 Join me as I talk to Pro Snowboarder Helen Schettini. Helen Schettini is an up and coming pro snowboarder based in Whistler, BC. She’s a passionate snowboarder with a love for freeriding and can be seen in her part in YES Snowboards latest movie, ‘YES It’s A Movie‘. Want to know more? Check out Helen’s blog. As many of us know, slopestyle is to be included in the next Winter Olympics. However, unknown to the average joe, is that there has been a long battle over how qualifications for the Olympics are handled. Initially, the FIS has been saying that they want all events sanctioned under FIS rules, but it would mean that basically every major independent snowboard event in the TTR calendar, such as the Air & Style, would not be eligible. “Obviously having slopestyle included in the Olympics has been a dream for a lot of pro riders. The trouble that has seemed to arise though is in the qualification schedule. FIS is controlling the qualification process as they always have, making riders earn their quota spots through world cups. What this does though is just adds to the number of high profile events in our competitive season. We already have the Dew Tour, Air and Style and Global Open Series to attend plus other events like X Games and let’s not forget the TTR World Championships set for Oslo this February. “I think slopestyle added to the Olympics is good for snowboarding. It gives the general public an eye to see the other side of snowboarding that they haven’t seen as much. I think it’s great. Some snowboarders are into filming and some snowboarders are into competing and some are into both. It can only help the athletes and their endorsements and help them to continue doing what they enjoy doing. “To be honest I don’t really understand the whole Olympic set up. They say that it will be based on TTR points, but the contests to qualify will not be biased and will be open. But there are no TTR events right now that fit that description, so they’ve got their work cut out. Obviously having snowboarding slopestyle will be very cool to watch in the Olympics. And I think us Canadians have a good chance at podium, unlike in the halfpipe. “The FIS is an organization created by skiers a long time ago that is the governing body for alpine skiing. TTR has been created and run by snowboarders since its inception. By allowing the FIS to govern the Olympic qualifiers for our different snowboard events, a different sport benefits directly from the income and jobs that are created around snowboarding. How about you? What do you think about the situation? Leave a comment! Shannon Johnson has build a career out of loving the snow life. 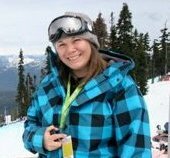 She’s built a very successful blog at Shayboarder.com, which started by just providing good snowboard reviews while no one else was doing it. This has branched out and given her lots of job opportunities within the snow industry and best of all, she gets to keep doing what she loves to do. If you want to learn how to become a snowboard instructor, WATCH THIS INTERVIEW! Gregg is not only one of the most experienced instructors in the industry, he’s also part of the American Association of Snowboard Instructors’s National Team, which literally writes the book on snowboard instruction. 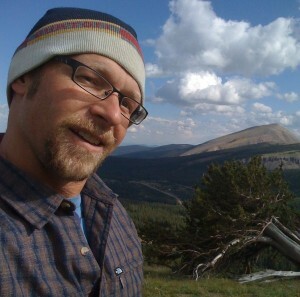 Gregg Davis has been working in the snowboard industry for over 30 years. He’s one of the top snowboard instructors in North America and has participated as a snowboard tester for the Transworld Good Wood Board Test. He’s also an advisor for the upcoming Transworld Trick Tips DVD, and is currently on the AASI National Team, which writes the course and training materials for snowboard instruction in the US. Gregg isn’t pulling double corks at the X-Games or running an insanely successful business (yet! ), but he’s made a living following his passions and interests, whether it’s snowboard instruction or his skateboard coaching programs.